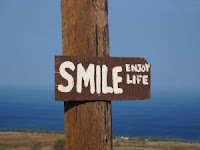 Nishant Chaturvedi...: Are You HAPPY...? Good. 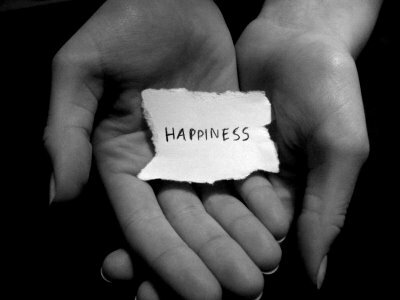 And what is happiness to you ? Getting what I want and when I want it, is happiness. What if you don’t get what you want and when you want it ? Well then I strive for what I want. That’s is still not what I want to know ? If you are not getting what you want then are you happy ? Because my efforts are getting wasted. Are you sure that your efforts are wasted ? How ? If you can explain ? Well my time, money, the physical & the emotional labors is wasted. How are they wasted then ? Well they are wasted because the end result is not what I want. Is the end result important ? No really, is the end result important ? So these goals are the end result ? And if we don’t get them the way we want them then ? So happiness is dependent on end results ? Because nobody can get everything they work for. So do you want to be happy or unhappy always ? Then don’t think about the end result. Because then we wont have any goals. Well motivator forces you to put in effort but end result traps you to only see what you get in the end. Isn’t it more important to get what we want in the end ? What kind of happiness ? Simple yet meaningful and effective if we can imbibe. Nice!! Somehow it seems such an easy concept yet we never get it... Any ideas.... ANYONE ? too philosophical i would say!! the question is can one actually detach himself/ herself from the efforts put in to not care in the end? its a nice concept but wouldn't work in the real world! Well it is pretty true.. by taking each step in our life we learn something and we keep on improving.. that improvisation lead to a better understanding and better result and thus ultimate happiness..
Yeah,actually the way u suggest to be happy is amazing......like u.
yoonh hi betab dil dhadkta hai, khushi mil jaati to achanak hai. Yes,Happiness always knocks the door when you are busy with lots of things & not seeking for it any more..
"Santoshi" aur "asthavan" hona is only key to happiness..
All incidence, circumstances & persons contribute something to our life.. They are introduced by God to make us learn what LIFE really is.. Even in darkest of dark time there is something to smile for.. Try to find that..
Failures help us choose our strategy & find real friends.. They built up our unique personality.. We must Celebrate little achievements of life.. Must be happy for we had a chance to try.. let success come its own way.. Motives don't bring happiness.. Be contented.. See life will welcome you with open arms. Don't be upset if something is over , be happy because it Happened! !